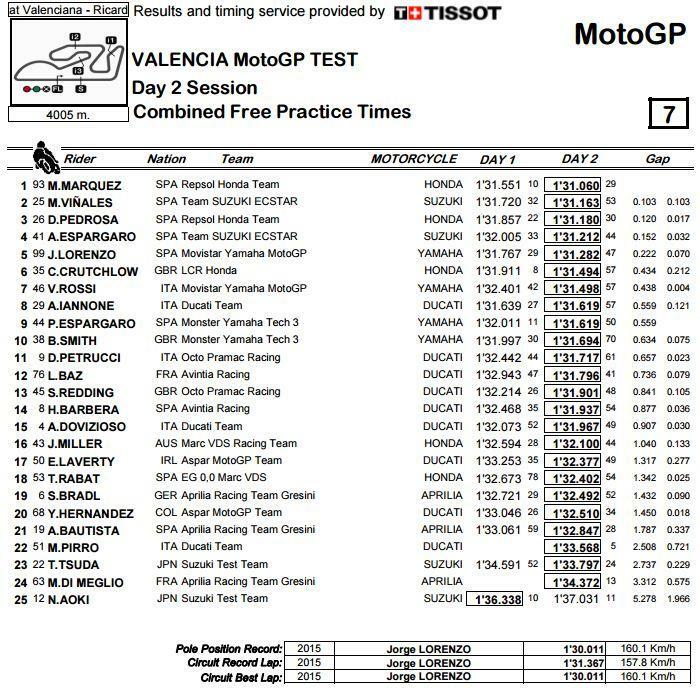 Marc Marquez was fastest on the final day of the Valencia test with the Spaniard one tenth of a second faster than Maverick Vinales, Dani Pedrosa and Aleix Espargaro. With world champion Jorge Lorenzo fifth fastest it was a clean sweep of the top five for Spanish riders on home soil. 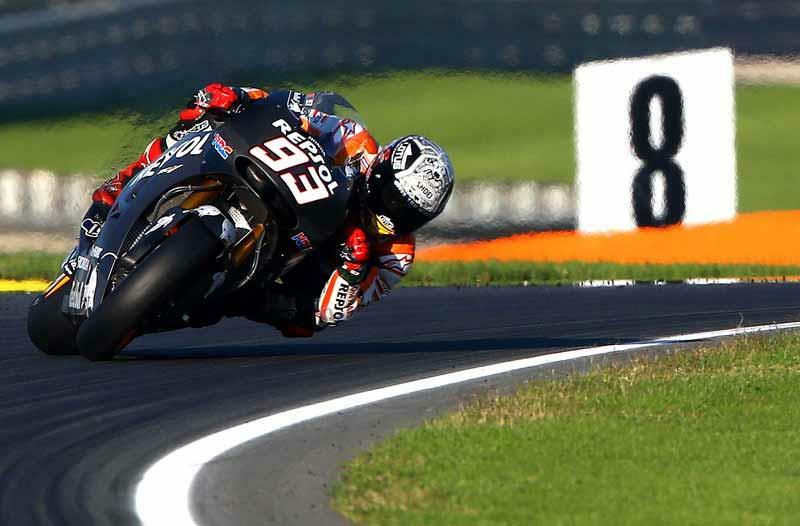 Cal Crutchlow had a crash, and tweaked his shoulder, but finished the test sixth fastest ahead of Valentino Rossi. Bradley Smith was tenth fastest with Scott Redding 13th on the Pramac Ducati.